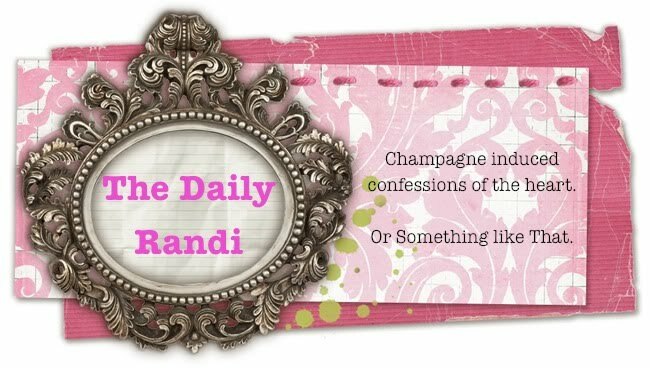 The Daily Randi: I Will Really Miss The Pancakes. I Will Really Miss The Pancakes. Some things are Too Personal for even, I, The Daily Randi, to Write About. So, Today, I won't be discussing how over the weekend, I Finally and Forever Ended Things with The Cutest Boy Ever. And how, I have been Sobbing All Day about it. But, how I know it is A Sign Of Progress and Growth and was The Right And Only Thing To Do if I ever want to Be In A Serious Relationship, with Someone Who Really Loves And Cares About Me. No, instead, I will write about how on Saturday, I saw Matt Damon, for The Second Time, Running Up The Hill in Runyon Canyon while I was Running Down and how we exchanged Runner's Eye! In case you don't know, Runner's Eye is The Glance Two Runners In Opposing Directions Exchange With One Another, Basically Acknowledging That You Both Know You Are Moving Faster Than Everyone Else. Okay, I will admit, Matt Damon could have been giving me The Keep Running Eye which is The Look Celebrities Give To Peons When They Know You Know Who They Are, But Don't Want You To Bother Them. But, I am pretty sure it was Runner's Eye that Matt Damon gave to me. Of course, I gave him The Googly Eye right back, just Out Of Habit, which wasn't such A Wise Idea in retrospect. The Googly Eye, of course, requires No Explanation. Everyone Recognizes The Googly Eye. And, now I fear he is sure to give me The Keep Running Eye if I should see him Run Past Me In Runyon Canyon A Third Time. But, I am hoping that Matt Damon was Running So Fast, maybe he didn't catch My Mistake. Which reminds me...I really miss giving The Cutest Boy Ever The Googly Eye. And, Receiving it, too. He Never gave me The Keep Running Eye. Ever. But, like I said, I am not going to write about That, Today. I'll miss you Daily Randi....you are CRAZY.